Today is an exciting day. I can't go into details right now, but I am on my way to New York City for an adventure! It's crazy how fast it all happened, but I am grateful for what promises to be huge opportunity. Remember how a little over two years ago I got to go to New York City for Slim-fast when I was a blog ambassador for them? And do you remember how I blogged about how miserably humiliating the plane ride was? 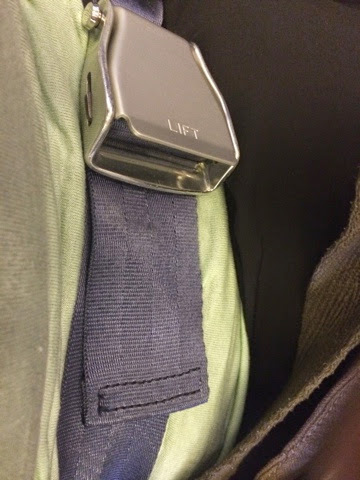 The small jet and the seatbelt extender... How my legs pressed against the seat in front of me and how I couldn't lower the tray table? And how the seat handles pressed into my thighs and made bruises... It was emotionally and physically painful. I weighed around 320 lbs then. Well, fast forward to now. When I got my flight confirmation for this trip, I immediately noticed that this flight had also been booked on a jet. My anxiety level grew... And I prayed that even though I've gained about 10 lbs (back up to 271 as of yesterday) this flight experience would be better. So far, so good! No seat belt extender this time. Plenty of leg room and I'm not smashed into my seat. My tray table comes down and doesn't touch my legs or belly. I was even brave enough to go to the restroom (which involved traveling down the aisle a good way). The restroom was SUPER TINY but I fit! Who knew little things could be so huge! 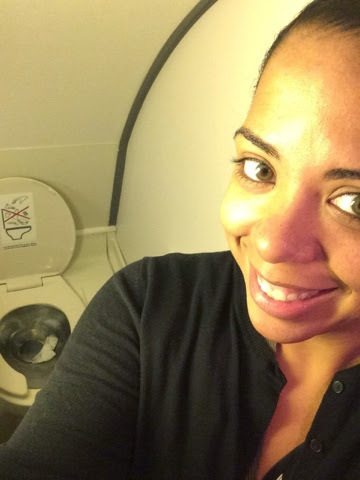 I mean... Fitting in an airplane bathroom, lol! But when you've been morbidly obese for the majority of your life, and when you've had painful experiences as a result, these things matter a lot. I am back from New York. I can't talk about details, but I promise to give them as soon as I have to ok! Just know that it was a great experience. While flying back, I made a big decision. It's time for me to really, SERIOUSLY get my eating under control so that I can start losing weight again. I am sooo excited for you. I am following you on FB and I have seen a few of your progress pics and you are absolutely amazing. Congrats!